The drill should be used pre-season and during warm-up to sharpen ball taking reflexes and develop reflex handball with both hands. Concentration is required to keep errors from creeping in when players become tired. afl coaching program, junior football coaching drills, aussie rules kicking drills for afl coaching program using these skills: reflex handball. A good first drill after shortball warmups, or to sharpen skills on a lighter night, this drill practices a mix of handball,crumbing, run-past and kicking skills. 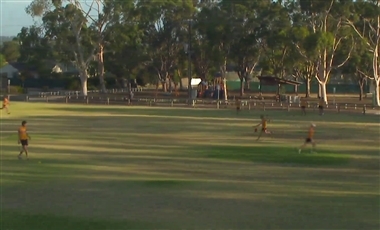 australian rules kicking drills for afl coaching program with a focus on , free kicking drills for afl coaching program, aussie rules training. Players occasionally have the choice of several teammates to kick to. If the longer option is within range and not covered, this option is preferred, as the closer player can turn and run past the longer option, receiving a handball from them. 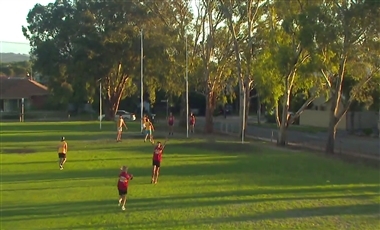 afl coaching program, afl preseason drills, aussie rules handball drills for afl coaching program using these skills: long kick, reflex handball, crumb. The best ball winners will have a natural instinct for where the ball is likely to drop from a marking contest, and will be in the best position to crumb or run past. This drill lets players work on positioning around a marking contest and kicking to a leading target. 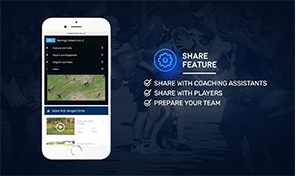 australian rules handball drills for afl coaching program with a focus on front & square, run & carry, decision making, forward line delivery, goalkicking , free handball drills for afl coaching program, football coaching drills for kids. 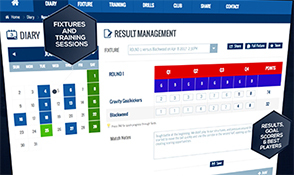 Converting goal opportunities is critical and often neglected at practice. This drill simulates a set shot at goal, with a person standing the mark and a defender on the goal line. afl coaching program, afl kick practice, aussie rules goalkicking drills for afl coaching program using these skills: long kick, goalkicking. Introduce some fun at training while also working on precision handball, kicking, marking and goalkicking skills in this 5-event knockout competition. 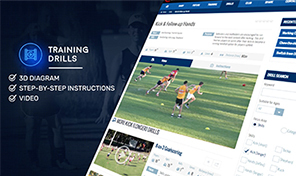 australian rules goalkicking drills for afl coaching program with a focus on fun , free goalkicking drills for afl coaching program, afl training sessions.